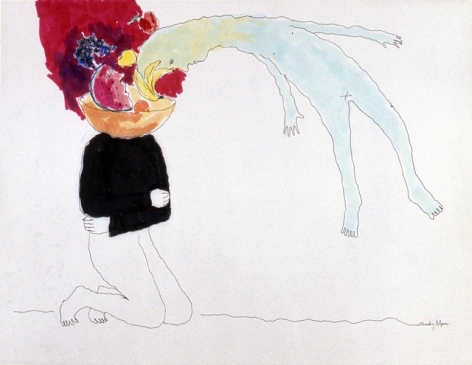 Mindy Alper was born in Brooklyn, NY in 1959, and grew up in Los Angeles. At the age of 4, she began to study with well-known Los Angeles art teacher, Dorothy Cannon, and continued until she was 40. She also studied puppetry with Harry Burnett, Turnabout Theatre, Los Angeles. 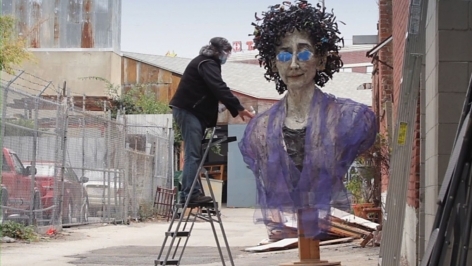 She then began to study sculpture with Leonard Schwartz, and drawing with Anthony Austin at Immaculate Heart, Los Angeles. She then studied oil painting with Olga Seem Kooyman and drawing with Phyllis Muldavin at Los Angeles City College. The artist currently studies with Tom Wudl and Susanna Maing in Los Angeles. 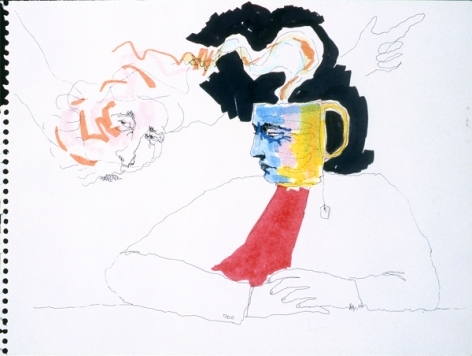 She has had one-artist exhibitions at Raddack Gallery, Los Angeles; Sincere Technologies Gallery, Oakland; Colony Studio Live Theater, Los Angeles; and was included in group exhibitions at the Gay Community Services Center, Los Angeles; Women’s Caucus for the Arts, California State University, Los Angeles; and the Arroyo Arts Collective, Los Angeles. Alper has also performed in a comedy, “The Love Machine;” was writer and actor in Imagination Workshop, an improvisational performing art theater group, UCLA; and is a founding member of the Buttersticks, a performance group. Her teaching experience has been at Dorothy Cannon Art Studio, Studio City; as a T.A. at Alternative School, Los Angeles; and at the adolescent terminal ward, Children’s Hospital, Los Angeles. She was a visiting artist at the Experimental Drawing Class, CalArts, Valencia. 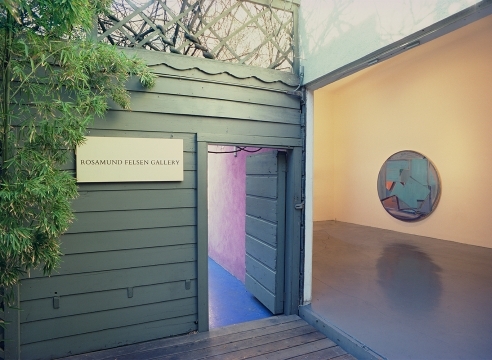 Alper has exhibited with the Rosamund Felsen Gallery since 2006. She lives in Los Angeles. The Oscar-nominated shorts may have smaller running times, but the themes tackled are often big. Of the live-action films, three explicitly dramatize real-life terror threats. Kevin Wilson Jr.'s dread-filled "My Nephew Emmett" — already a student Academy Award winner — follows the night in 1955 that Moses Wright (a heartbreaking L.B. Williams) lived through the abduction of his 14-year-old nephew Emmett Till by crazed racists. A continent away, Katja Benrath's "Watu Wote/All of Us" depicts Kenya's simmering distrust between Muslims and Christians as a bridgeable divide when the danger — in this case, a bus attack by terrorists — is existential. Reed Van Dyk's naturalistic standout "DeKalb Elementary," meanwhile, painstakingly unfolds via tight framing and real-time editing an exchange between a single mother/temp secretary (Tarra Riggs, magnificent) and an armed, discontent interloper (Bo Mitchell). Inspired by a 911 call about an Atlanta school shooting, it's an unspooling marvel about the gift of empathy. Communication is also central to the bittersweet emotions behind Chris Overton's effortlessly heart-tugging "The Silent Child," about a neglected deaf 5-year-old in a hearing, nonsigning family, and the uphill battle for a social worker (deaf advocate Rachel Shenton, who also wrote it) in drawing her out. Talking is no cure, however, for the dueling psychiatrists — one who's actually a delusional patient — in this batch's only comedy, Derin Seale's Pythonesque confection "The Eleven O'Clock." Humor with sentiment usually rules the animated category, but this year, that's only exemplified by Pixar's "Lou," directed by Dave Mullins, which inventively imagines a schoolyard-bully problem solved by a crate full of lost and found items. A nastier wit pervades two others: the Roald Dahl adaptation "Revolting Rhymes," from filmmakers Jakob Schuh and Jan Lachauer, which turns the happy-ending plight of classic fairy tale characters (voiced by notable British actors from Dominic West to Rose Leslie) into an interlocking farce of crime and vengeance; and the ravishingly CG-textured, wordless, six-director French entry "Garden Party," whereby a wrecked, bullet-riddled mansion hosts a gathering of curious amphibians. More delicately touching is the stop-motion "Negative Space" from Max Porter and Ru Kuwahata, which finds fanciful grace in a grieving man's memories about his father's relationship to, and lessons in, suitcase-packing. On the heavy-handed end lies the Kobe Bryant-written and narrated "Dear Basketball," directed by Glen Keane, a predictably soaring, sketch-animated reverie to boyhood dreams and career glory — scored by John Williams, no less — that thinks it's a slam dunk when it's a missed three-pointer. The strong documentary nominees suggest that the world's cruelties have tough adversaries in kindness, caring and dedication. In Cleveland, ex-cons can learn French cooking and restaurant management through a training-to-work program depicted in Thomas Lennon's "Knife Skills," set at a French fine-dining establishment staffed by the newly released. In the grim-yet-stirring "Heroin(e)," filmmaker Elaine McMillion Sheldon tackles the opioid epidemic in her overdose-devastated home state of West Virginia by chronicling the tireless frontline efforts of three tough, sympathetic women: a deputy fire chief who races from emergency to emergency, a firm-but-friendly drug court judge and a charity-driven lady who brings food to addicted prostitutes. Illness and infirmity color two emotional tales. In "Edith+Eddie," director Laura Checkoway introduces us to interracial nonagenarians in love, whose late-in-life companionship is threatened by an impatient daughter and a callously applied guardianship. 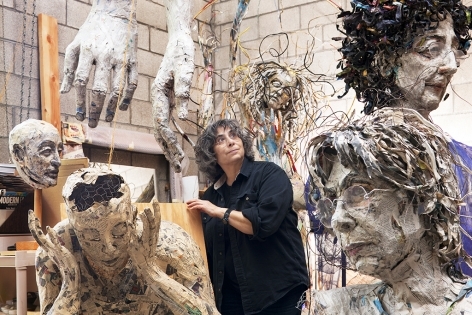 Frank Stiefel's "Heaven Is a Traffic Jam on the 405" offers an intensely moving portrait of 56-year-old Angeleno artist Mindy Alper, whose life is an ongoing struggle to balance depression and often debilitating mental disorder — including a decade without speaking — with a richly expressive talent (for drawing and sculpture) that thrillingly connects her soul to the world. And ultimately, these docs ask, what is it that defines us? Things beyond our control, our pasts, or what we make of them? Kate Davis' "Traffic Stop" toggles between dashcam footage of an upstanding 26-year-old Austin, Texas, schoolteacher's terrifying experience with out-of-control racist cops, and her life since as she tries to not let the experience derail her from hard-won, everyday achievement and joy. "Traffic Stop" is a slice-of-life corrective to unwarranted internet notoriety, and like the best of these shorts, a compassionate inquiry into others, the movie equivalent of a concerned "How are you? Tell me what happened."